HAHAHAHAHA! 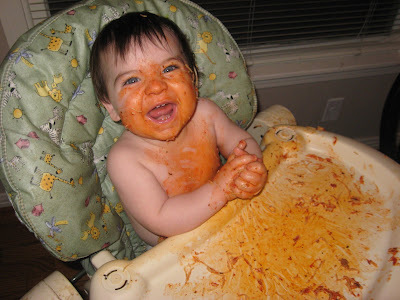 I have a picture of my little brother at that age with spaghetti all over himeself, just like little Gabey. Seriously, do girls ever get so ridiculously messy?